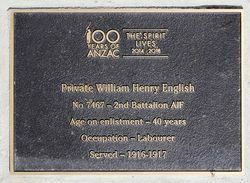 A number of plaques in a walkway commemorate soldiers from Mount Evelyn and Silvan who served in World War One. 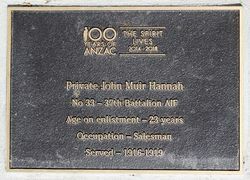 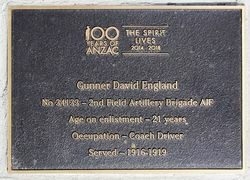 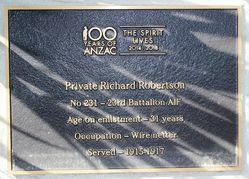 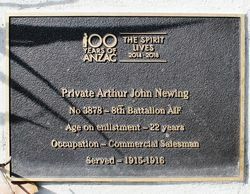 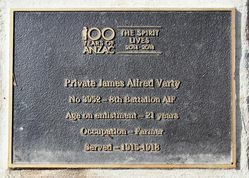 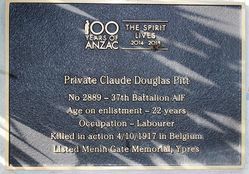 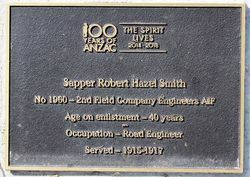 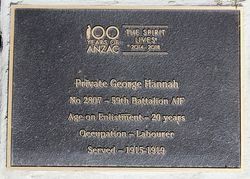 The plaques relate to the trees which were planted in the Avenue of Honour in 1918 and 1919. 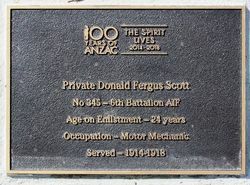 The Avenue of Honour no longer exists. 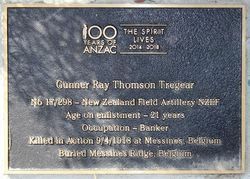 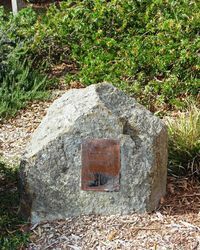 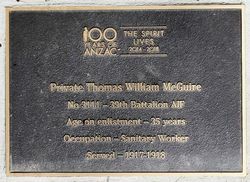 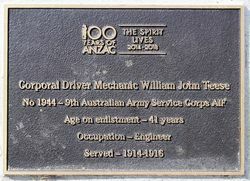 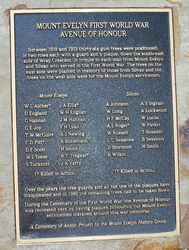 Between 1918 and 1919 thirty-six gum trees were positioned, in two rows each with a guard and a plaque, down the south-east side of Wray Crescent, in tribute to each man from Mount Evelyn and Silvan who served in the First World War. 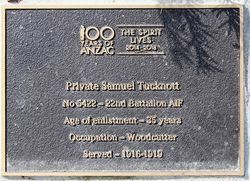 The trees on the east side were planted in memory of those from Silvan and the trees on the west side were for the Mount Evelyn servicemen. 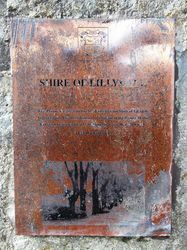 Over the years the tree guards and all but one of the plaques have disappeared and in 1985 the remaining trees had to be taken down. 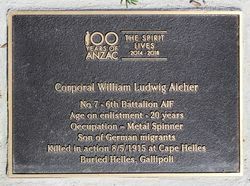 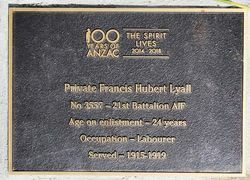 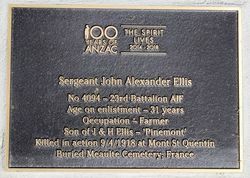 During the Centenary of the First World War, the Avenue of Honour was recreated here by having plaques honouring our Mount Evelyn servicemen installed around this memorial. 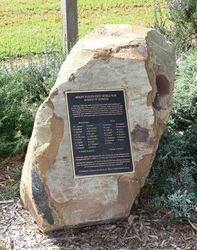 This plaque was presented to Mt. 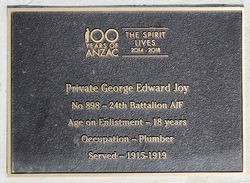 Evelyn by the Shire of Lillydale to replace the Avenue of Honour - a tribute to the 35 men of this District who served their country in the Great War 1914 - 1918.